Bringing together acclaimed acts from the UK, Teamwork Arts, a Delhi-based arts and entertainment company introduces Going Solo, a collection of solo acts. The first and only international travelling festival in India will be held over three weeks, starting in Delhi, moving to Kolkata, Bangalore and Mumbai. While all the plays a�� Dona��t Wake Me, If These Spasms Could Speak and Shylock, pick up on inspiring tales, their methods are different and the treatment of plot vary. Performed by Jaye Griffiths, a popular BBC artiste and directed by Guy Slater, Dona��t Wake Me: The Ballad Of Nihal Armstrong is an intensely dramatic and moving true story of a mothera��s tireless battles in her struggle for her disabled sona��s rights. Rahila Gupta, writer, says that it is fairly autobiographical and is the story of her son who was starved of oxygen at birth, causing cerebral palsy. a�?He was written off by the hospital, the school, friends, family and society. This charts our fight to reclaim his humanity,a�? she explains. Gupta hopes that the audience will be drawn in and shea��ll be able to dispel a�?preconceptions without losing their empathya��. In If These Spasms Could Speak, Robert Softley dons the hat of actor and director, for what he describes as a�?funny characters and stories about disabled people and their bodiesa��. Telling us it is a unique experience to connect with a�?non-disabled peoplea�� to share a�?what it is to be disableda��, Softley hopes cultural differences wona��t be a hindrance. 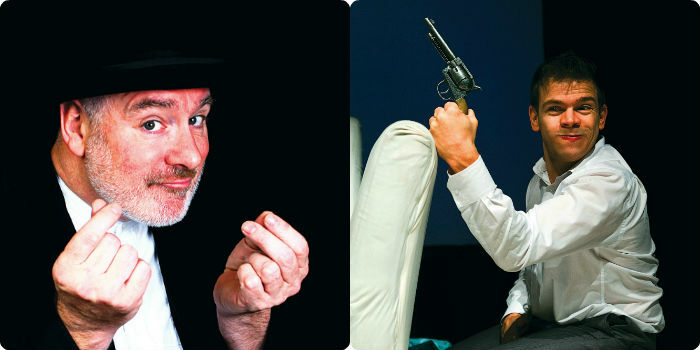 The last of the plays is Shylock, by Guy Masterson, world renowned for solo performances. It explores the eternally divided opinion of the Shakespearean character being a villain or victim. And this one takes it further by going into the depths of the moneylendera��s character to understand how it is reflective of contemporary Jews.